How can we reach millions and bust myths related to HIV? How can we get more girls into classrooms in marginalized communities? One answer is – surprisingly – TV shows. As the global community convenes to develop strategies and action around reaching the SDG’s during the UN General Assembly, multi-sectoral learning is key to galvanizing action and creating real impact. This week, the Center for Global Education at the Asia Society, Results for Development, Teach For All, and the Center for Universal Education at Brookings will host “What Global Education Can Learn from Public Health: Strengthening Learning Across Borders to Achieve SDG#4”, bringing an exciting dialogue and looking to our global health colleagues for models and strategies for applying what they’ve learned to accelerate progress in global education. As an organization that uses media to transform education and improve lives around the world, we at Discovery Learning Alliance (DLA) have the unique perspective of working toward progress in both public health and education. We have tackled devastating global health issues like HIV/AIDS and tuberculosis (TB) using mass media with films like Inside Story (2012) and The Lucky Specials (2017), helping individuals and communities understand and respond to these diseases. After a university viewing of Inside Story in Tanzania, all 700 students in attendance walked out of the screening and into an HIV mobile testing van, with nearly 30% testing positive and then referred for further treatment. The South African Broadcasting Corporation (SABC) will air The Lucky Specials in the coming weeks, giving millions of people living at the center of TB infection in Africa the opportunity to see, understand and appropriately respond to the leading infections cause of death in the world. As part of our work with the UK Department for International Development’s Girls’ Education Challenge, we decided to use mass media to move the stubborn needle on girls’ education through national, magazine-style talk shows. The Discovery+ programs aimed to shift social norms, attitudes and behaviors around gender equality and girls’ education in communities where these issues are particularly acute. 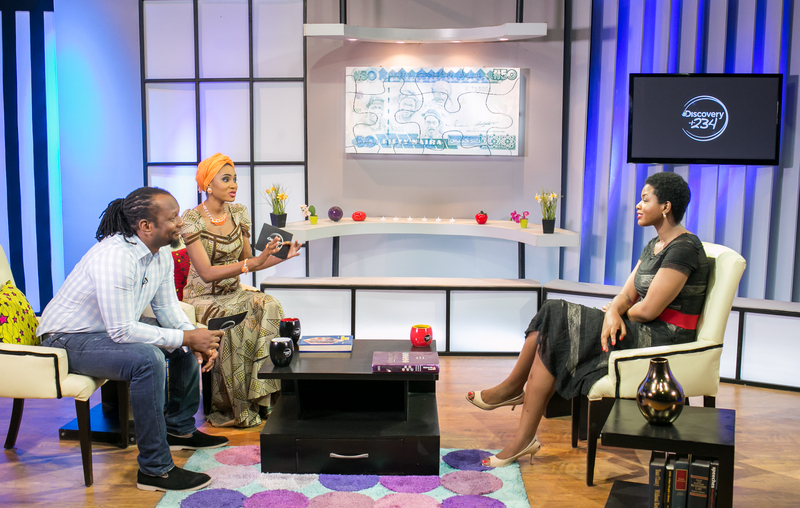 These country-specific series in Nigeria, Ghana and Kenya were media sensations, ranking as the #3 non-live program in Kenya, award winning in Ghana, and airing on its third network now in Nigeria. An independent evaluation of Discovery+ found that after just four episodes, significant attitude and behavior changes were reported. Viewers no longer questioned the importance of girls’ education, many reported new support for their daughter’s schooling and futures, husbands supporting their wives return to school, and more. Reach and impact exceeded all expectations with more than 100 million viewers and counting! Behavior change, in health or any sector, doesn’t happen in isolation. To really make social change happen, we have to reach the individual and change the public conversation happening at local and national levels. Now, these movies and programs are about futbol, music, love and loss, and we market them as entertainment – not public service announcements or lectures. The key is that once audiences are invested in the story and characters, there’s an opportunity to share information, bust stereotypes and myths, and dispel deadly misconceptions. Further, with media that people want to see, you can reach audiences in the tens of millions. Inside Story, as one example, has been seen by more people in sub-Saharan Africa than any other move, ever. Sorry, Avatar. Media holds tremendous power and influence, and we have successfully taken lessons learned from various initiatives and applied them across geographies, cultures, issues and platforms. In this, we’ve also taken wisdom from Malcom Gladwell’s ideas around making information stick: information must be personal, practical and memorable. With the hope that others might also look to media as an effective catalyst in accelerating global education progress, and impacting all of the SDG’s more broadly, we wanted to highlight some of the lessons that guide our work. Formative Research: High-quality formative research is the 1st step to ensuring the right message reaches the right audience, and that you are using the right strategy and type of media. This essential activity should happen before your project gets off the ground and will help determine your objectives, audience, messages, medium and measurement. Local Context: Audiences want local content and distributors are desperate to get it to them. The more authentically local you can make your product, the better. Information sticks better when it’s perceived to be more personal. Practical Information: Using media to share enough information that it will make a difference, but not too much to be overwhelming or distracting, can be tricky. Media is not the best medium for volumes of complex information, but “news you can use” is always appreciated and will help with retention. Stick with the essential so as not to overwhelm audiences or make the “edu-tainment” seem preachy. Memorable Connection: In the context of a story, whether fiction or nonfiction, concepts are more likely to connect with viewers’ emotions. When information connects with human emotions there is greater retention, period. That’s how our brains are wired. Incomparable Reach: The power of entertainment and mass media as a delivery device to encourage shifts in attitudes and behaviors and share information is cost effective and a great value. Not only can the message reach millions of viewers and listeners during its initial broadcast, but mass media can have a long tail, appealing to audiences for years to come. After more than 5 years, we’ve signed almost a dozen new broadcast deals for Inside Story in just the past year! In all of this work, we should remember that behavior change and social norms do not change in isolation, especially around personal and political issues like health, education, and gender. These complex social constructions change among individuals within a social context and are reflective of the values of the community, their perceptions and beliefs. Media, by definition, is an efficient tool to share the same message with a lot of people, which makes it an important social tool. To move global education forward – to move the SDG’s forward – we need to put the power of media to work in ways that are engaging and even entertaining. This blog was originally posted by the Center for Education Innovations on September 18, 2017.